Valentine’s Day was a little bittersweet for us this year because it was Kaitlin Pope’s last day. Kaitlin has been interning with us for the last few months as she finishes up her last semester at Savannah College of Art & Design. Kaitlin fit right in with us from day one and was always down to hop on any project whether it be painting a window, photographing photographs or designing a logo. We know she has a bright future in the design world! We spent a lot of time reflecting on what we’ve all learned through this experience and captured some of her feedback below, which is super valuable for all aspiring graphic designers. Check it out! Favorite project worked on and why? It's so hard to choose just one, so these are my top three. 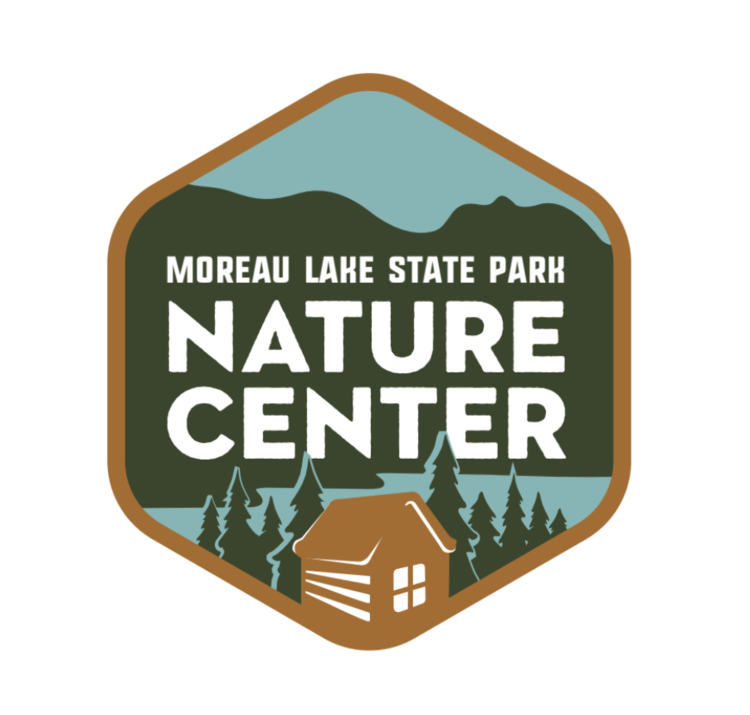 I loved working on the Moreau Lake State Park Nature Center logo, it's a field I am familiar with and the direction and themes we had to work with very much aligned with my personal interests. A close second was the Health Trends Booklet for Adirondack Health Institute. Kelli showed me how fun layout projects can be and It surprised me how much I enjoyed the process of organizing content and utilizing grids. Lastly, I had a lot of fun designing the logo for Ashley Nizolek Photography. There were some illustrative elements, lots of type exploration and experimental color palettes. There is also something so gratifying during these early stages of being a designer, in seeing your work out in the real world. Biggest difference between school work and client work? Definitely the pacing. While both have deadlines, I found working with client timeframes moves the creative process along faster. I have seen a big improvement in my design efficiency since working more closely with clients. One similarity I wasn't expecting is the creative freedom. I expected client feedback and direction to be more restrictive, but just like critiques from professors, I found it more guiding in reaching a desired solution. I think that speaks to the great people that Sidekick gets to work with! What’s the biggest lesson you learned through this internship? Trust myself! It's so easy as an emerging designer to fall victim of imposter syndrome and doubt or undersell your skills. Second guessing your work is such a creativity killer and through this learning process I have seen my confidence, inspiration and designs grow so much. I am so grateful for the experience!